The book that Dud was editing at the time of his untimely passing, has now been completed with help from 2 archaeological colleagues and friends and was launched at a conference in Lewes, Sussex on 22nd October 2016. That conference celebrated both the life of Dudley Moore and the launch of the ‘Archaeology of the Ouse Valley, Sussex to AD 1500’ he was editing. The book reviews the archaeology from Palaeolithic to Medieval and concludes with an important new research agenda for the area. 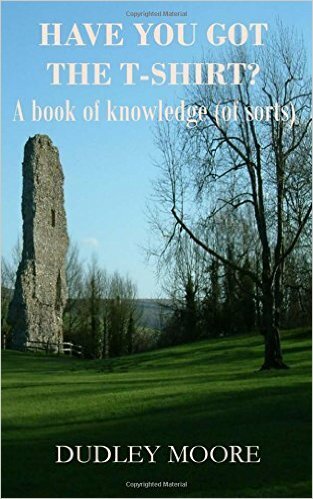 The book (edited by Dudley Moore, Mike Allen and David Rudling) was written by staff, tutors and students of Sussex University CCE, and provides the first archaeological book to address the Ouse Valley as a defined landscape. —————————————————————————————————————————————–Sadly and tragically, Dud left us on 28th January 2016 whilst undergoing emergency heart surgery. However, I (that is Sarah, his wife) have decided to keep the blog (and his memory) alive. As with his ‘about’, I will leave his ‘publications’ exactly as he wrote them, but I may add further to this page in time. My journal articles can be found on my Academia page. However, I’ve written a book or two on legal and archaeological matters, which I blatantly market on this page ! HAVE YOU GOT THE T-SHIRT? This is all about ‘things’ you may not know about – some things anyway. It is divided into three parts and each Part is in a sort of chronological order. Part 1 considers famous Hollywood films and whether they are, in fact, true to reality; Part 2 looks at some rather obscure, some less so, places that have affected me and you might wish to consider visiting yourself; and Part 3 looks at some intriguing characters and factors that you may not have heard of – but wish you had (perhaps). Basically it is about knowledge (of sorts). DO YOU KNOW YOUR LAW FROM YOUR ELBOW? Have you ever wondered how the English Legal System works? EVERYONE should know about their legal system as it is very important to know how justice works – or doesn’t ! 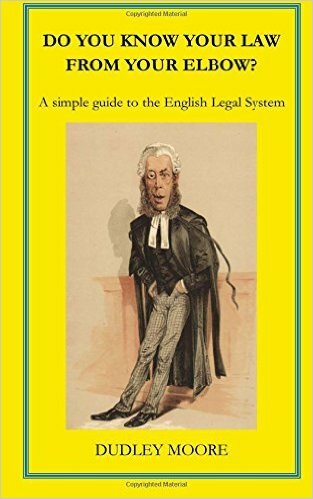 I am always amazed how many people don’t really know very much about the UK legal system and so I have written a basic guide, which I think everyone should read ! A bargain at £4.75 for the paperback, or £1.99 to download the kindle eBook – for a wealth of information. So read it and make sure you know your law from your elbow ! 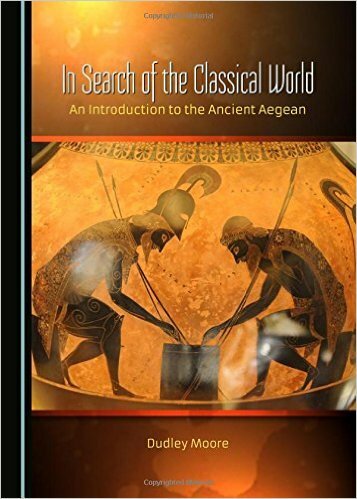 This book provides an introduction to the complex world of the ancient societies of the Aegean, offering general insights into the Aegean civilisations of the Minoans, the Mycenaeans, the Trojans of the Bronze Age, and the later Classical Greeks. With regard to the latter, the book explores their history against the might of Persia and the strife and tribulations between their own Greek city states – particularly Athens and Sparta. It also shows how Classical Greece made use of the Homeric heroes of the Mycenaean period in its literature and drama to reflect upon its own ancient heritage. The Bronze Age fortress at Mycenae in the Peloponnese of mainland Greece was first excavated by Heinrich Schliemann in 1876 but he was not the first to discover it. This book looks at the early English speaking travellers to the site and what they saw before Schliemann. 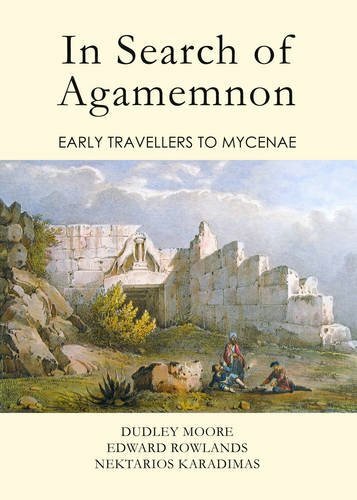 This book looks at three important British pioneer travellers of the 18th and 19th centuries, Richard Pococke, Robert Pashley and Thomas Spratt, to establish whether they made any significant contribution to the field of research with regard to the archaeology of Bronze Age Crete (the Minoans). 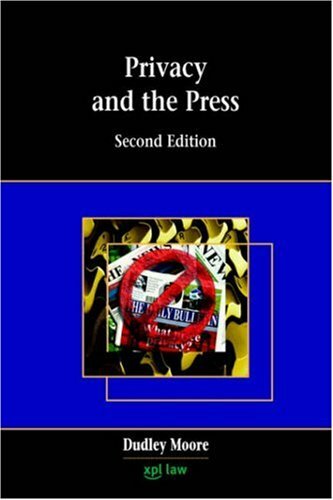 This book looks at whether the existing law in England and Wales is adequate to protect the privacy of the individual against intrusion by the press.